سواءً كنت مسافراً بغرض السياحة أو العمل, Alpine Heritage Motel هو خيار عظيم للإقامة خلال زيارتك جولبرن. إن موقع الفندق الاستراتيجي، الذي يبعد 1 km فقط عن مركز المدينة، يسمح للنزلاء بالوصول سريعاً وبسهولة إلى العديد من الوجهات المحلية المثيرة. كما يمكن الوصول بسهولة إلى Gallery on Track, ‪Belmore Park‬, ‪St. Saviour's Cathedral‬. إن الخدمات التي يقدمها Alpine Heritage Motel تضمن للنزلاء إقامة مريحة. يمكن لضيوف الفندق الاستمتاع بالميزات التالية على أرض الفندق: واي فاي مجاني في جميع الغرف, خدمة سيارات الأجرة, تسجيل وصول/خروج سريع, تخزين الأمتعة, واي فاي في المناطق العامة . لقد جهزت هذه الإقامة الفندقية بعناية فائقة لتوفر مستوى عالي من الراحة. في بعض الغرف يجد النزيل تلفزيون بشاشة مسطحة, اتصال لاسلكي بالإنترنت, اتصال لاسلكي بشبكة الإنترنت (مجاني), غرف لغير المدخنين, مكيف هواء. كما أن مجموعة الخدمات الواسعة الموجودة في الفندق لضمان راحتك تترك لك الكثير من الخيارات لقضاء وقتك أثناء فترة إقامتك. يحظى فندق Alpine Heritage Motel بموقع ممتاز وخدمات يصعب منافستها. يُطلب من النزلاء الذين سيصلون بعد 09:30 مساءً الاتصال بالعقار مباشرة قبل موعد وصولهم لتنسيق عملية الحصول على المفاتيح. Compared to the appalling customer service encountered in dealing with other businesses in Goulburn the staff here were exceptional with their efforts in processing our mixed up booking and their computer glitch and got us sorted and squared away as quickly as humanly possible. 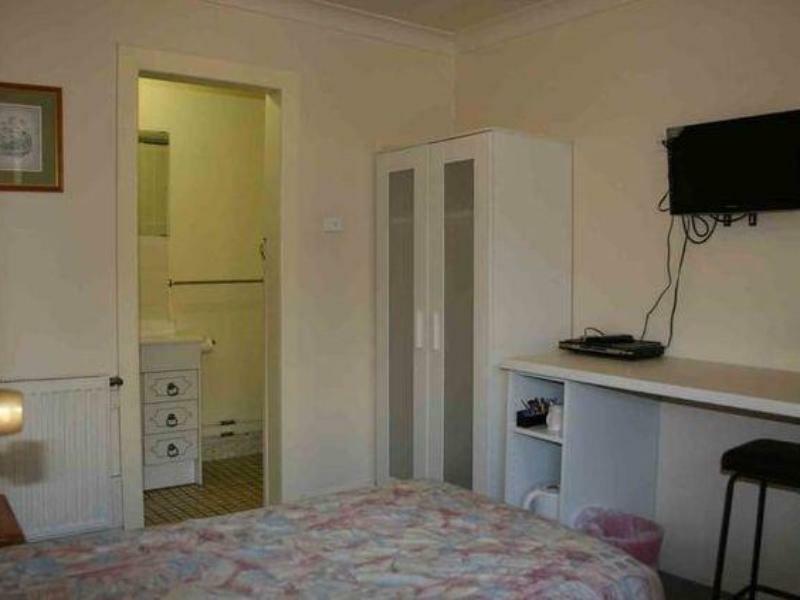 Was what you expect for cheap accommodation. Clean and comfortable. Only wish I got a ground floor room. Kinda hard carting heavy bags up two flights of stairs. We needed 4 beds and this large family room was just right. 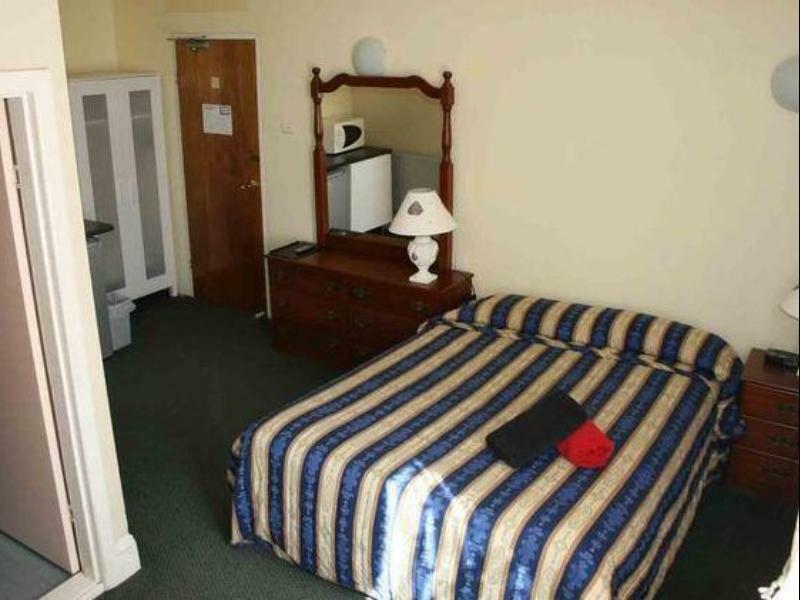 Exceptionally clean bathroom, the room was dated and the curtains could have closed better but it was warm (it was only 3 degrees so that was very important), had comfy beds, was clean, provided towels and had plenty of room if you have a lot of luggage. We were in the Heritage section, on the 3rd floor and it had everything we needed for 1 night. Queen bed, 2 singles and a double futon sofabed. Typical old world country town accommodation at a very reasonable price. Only real negative was the verandah light was on all night which wouldnt have been a problem if the curtains closed properly. The hotel was walking distance to the function we were attending and it was very well priced. Clean rooms, basic but had everything we required. We got upgraded to an interior room in the heritage section at the front as we needed 4 beds, the new bit is tacked on to the back. Would be wonderful if they could do an upgrade, but then it wouldn't be so cheap. The gentleman in the front desk was lovely and impressed me wearing a button up shirt. Computer and billiard table in the common area and plenty of off street parking. When I booked two rooms ,i rang beforehand to check on availability as I had my 87year old mother with me . I was assured that we would be given 2 rooms on the first floor. When we arrived to check in we were given two rooms at the back of the building and had to climb two flights of stairs. 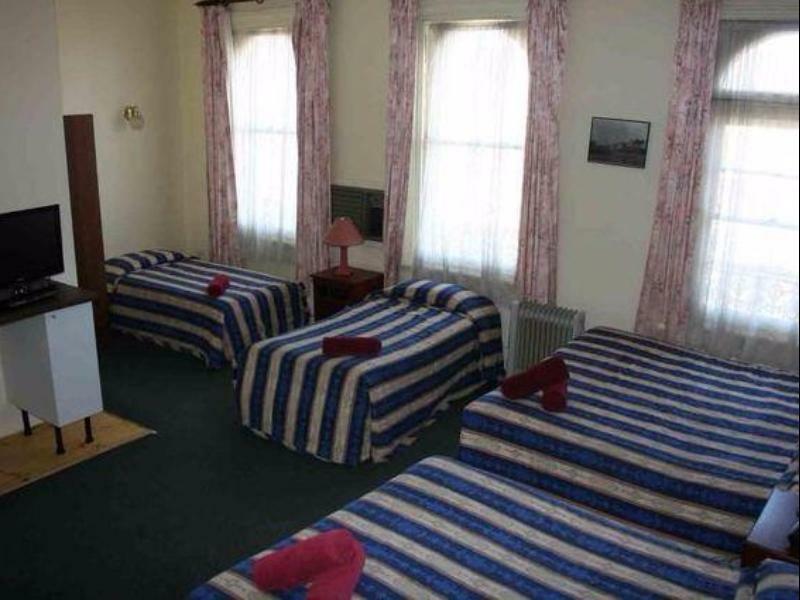 We were told no other rooms were available. Another customer who was half our age checked in and was given a ground, floor room - Pathetic The internet /wifi reception was also non existent in our rooms. I was also double charged for the rooms. I had to get the manager to check his records before he agreed to refund me. Amateur hour at Alpine. I should have checked if there was a faulty towers moteel in town. never again. 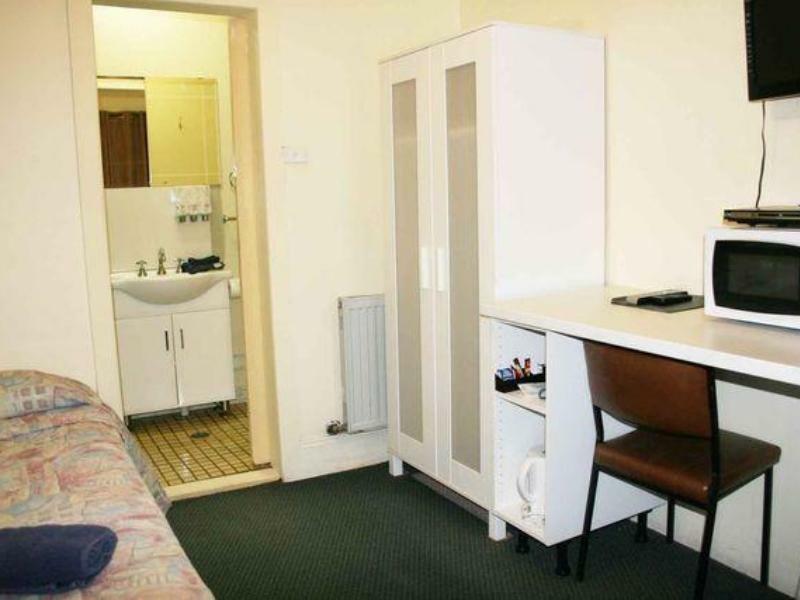 This is very substandard accomodation that is not worth the discount rate. We stayed in room 17. There was a terrible odor that was unbearable. I actually threw up in the morning due to the stench of what could have been mould or similar. Following the 1 night of accomodation the entire family then had sore throats. 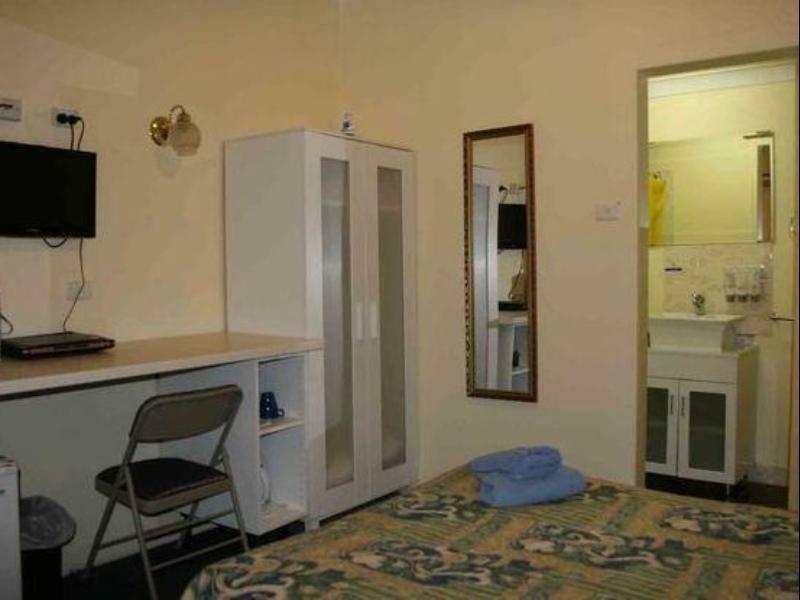 The accomodation was also very in clean and not well presented at all. I am not sure how this place could hold 3 stars! I would not revisit Even if I was paid. I booked a room and requested a ground floor room due to some arthritis in my knees, however when I got there was told I would have to pay extra money to get a ground floor room, which I had to do. I booked the room 3 weeks previously , however no one contacted me about my request to let me know. On my trip the internet was crucial, the internet was terrible, would not connect ,when it did it took forever to open an email, I went and saw the staff and fundamentally they could do nothing, so that was really disappointing. The carpet was really dirty, and heritage is an understatement when it comes to the age and condition of everything in the room, bed, furnishings, amenities ect. The door to my room (14) needs extreme strength to actually be closed, so when I went out thinking all my valuable were safe, I came back to realize anyone could have pushed the door open and stolen my valuables. Had to leave early otherwise would have demanded some kind of refund, very dissapointed. Location is fantastic. Close to pubs, restaurants ect. The room had a dank and musty smell when I first arrived and the hallways smelled pretty off but I opened up the window in my room and bought an air freshener and the room smellt better in no time. It was basically clean but could have used s good dust and a more though clean between clients. There was dust in the drawers and cupboards and everything just looked like it needed a good scrub. But it was fine and I really enjoyed staying in such a great location. 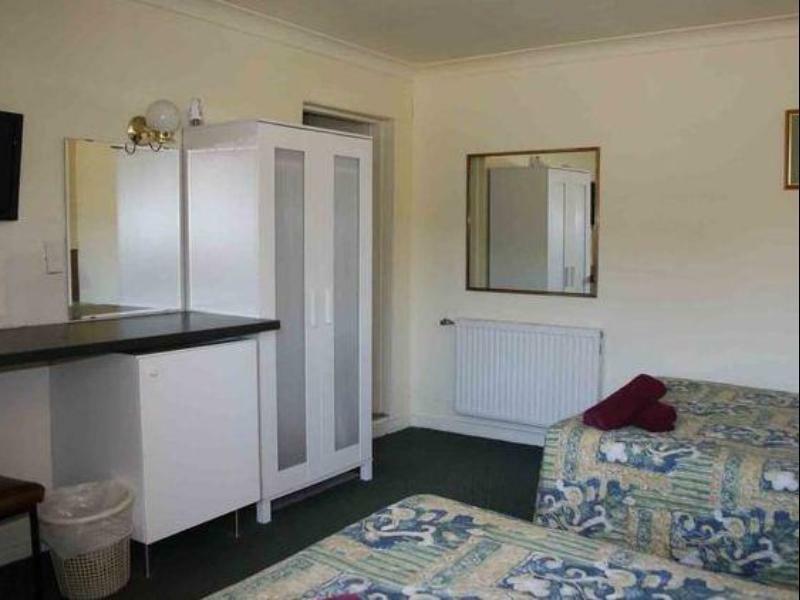 The room was a good size and it had a good sized bar fridge and microwave. Cons - the staff could not speak a word of English. In one conversation where I asked for my room to be cleaned, he thought I want to check out. To ask for clean towels was just as difficult. The people were very nice but it was a real struggle to communicate certain things and issues. I would stay here again but with similar accommodation near by of a similar price, I would consider other options. Microwave plus all the normal items. Good split system (not a window rattler) air-conditioning that even worked when minus 10 outside. Great big car park. Bed comfortable and great shower. Happy to stay here again. We arrived late at night and left early in the morning to break a 10hour journey. Good value for money. Key was waiting in security box. Good showers, tv and room was warm after coming from a cold Melbourne weather. I arrived late (unexpectedly) and made welcome in spite of this. The Heritage was welcome sign-posted and had heaps of off-street parking. The room was clean and comfortable - bed awesome. Shower with great pressure and plenty of hot water. The cleaning crew were pleasant, down-to-earth and great to talk with. The air-con was noisy and moderately effective (I'm glad the weather was moderately warm - over 30 deg several days)and not severely hot! I'd be happy to stay again. Found old dirty ear cleaners in the room. Furniture from 70’s and the smell was something to be thankful to leave. room 12 had a very un pleasant odour It smelt like decaying onions. Thongs were located under the bed. and was very dirty carpet. Bed had not been moved for cleaning. When I pulled the covers off the bed, one of the pillows was filthy with patches of blood. Not very nice to go to sleep to as you start to wonder how clean the rest of the bed is. Not the Hilton.! Not an Accor Hotel! 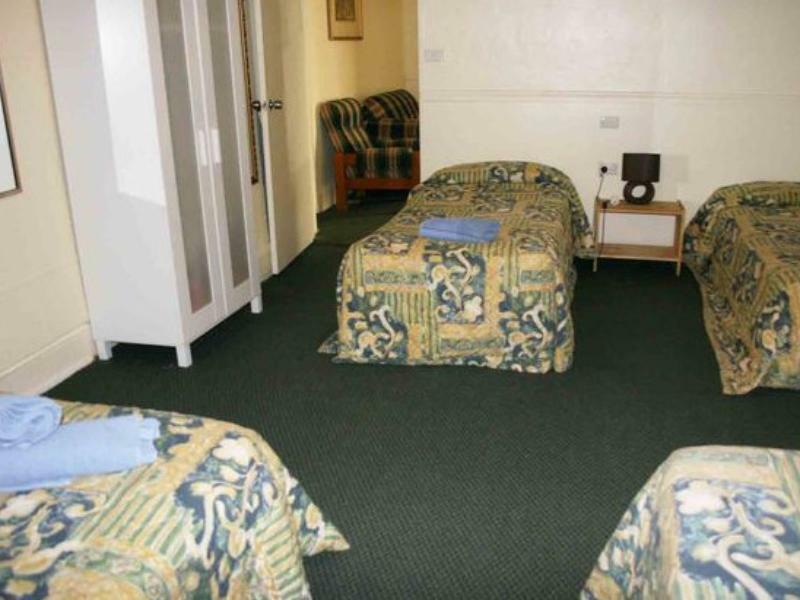 But probably the best Budget Hotel in Goulburn with all facilities and comfortable for a week while I was very busy. Motel not as advertised at all. WiFi too slow so it wouldn't connect. No Foxtel as advertised. Towels thread bare. Pillows disgusting and showe rwas like a geiser actually washing the whole bathroom and the other room if the door was left open. It was easy to get to, bed was comfy, bathroom clean and bonus it had a microwave.. however the carpeted floor and the shelves of the bedside tables were really dusty. It needed a deep clean.. and a fly wire screen for air circulation. Paid $99 via Agoda (wasn’t as cheap as I thought, because the total wasn’t in AUD!) only be told by the staff that I would’ve got a discount had I have rang directly. Otherwise, it worked well for the one night. Myself and several other members of my family were staying at the Alpine Heritage. General consensus was it was economical but were unhappy with some aspects of customer service. We were going to the funeral of a family member. One family needed to book in on Saturday morning but room was not available.